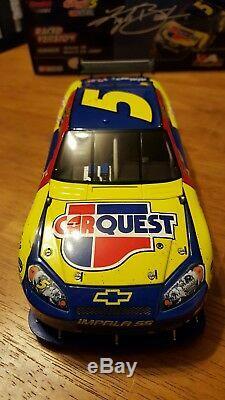 Kyle Busch 2007 Carquest/Kellogg's Bristol COT Win 1/24. This was the first COT Win and a rare diecast. It has been stored in its original box and never displayed. Comes from a smoke free and pet free home. The item "Kyle Busch 2007 Carquest/Kellogg's Bristol COT Win 1/24" is in sale since Friday, January 11, 2019. This item is in the category "Toys & Hobbies\Diecast & Toy Vehicles\Cars\ Racing, NASCAR\Sport & Touring Cars". The seller is "ctmdk77" and is located in Cromwell, Connecticut. This item can be shipped to United States.